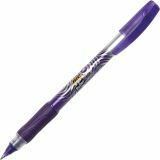 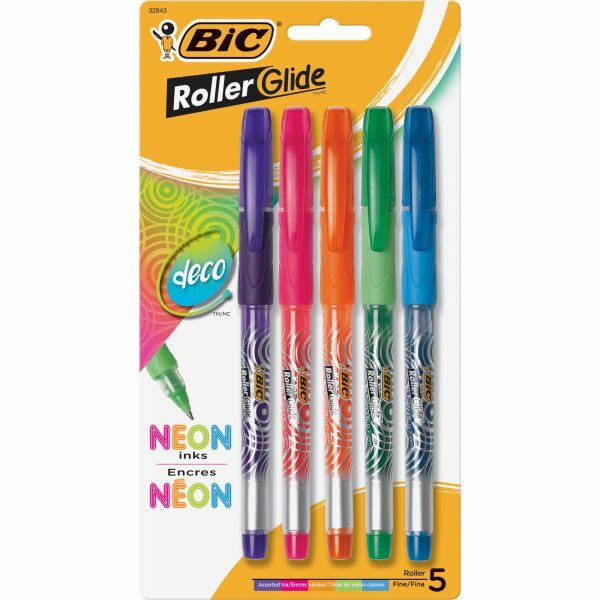 BIC Rollerball Pens - Rollerball pens deliver smooth writing with a professional look. 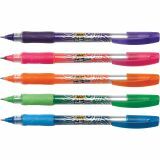 Design features a visible ink supply and a rubber grip for comfort and control. 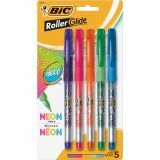 Clip color matches ink color.